Vivek Kumar Kaushik is the CEO of Bodhicrew, an exciting startup in New Delhi. Bodhicrew is an employment and skill services company for those working in unorganized/informal sector. They aim to provide complete domestic work solution to the rapidly growing middle and higher classes of Delhi/NCR. Vivek spoke with USF about this venture and its future plans in an e-mail interview. USF: How did the idea for starting Bodhicrew come about and what is your motivation behind this venture? An experimental project carried out under Partners in Prosperity(PnP) to provide sustainable livelihoods for 200 ultra poor households in Dehradun, Uttarakhand(India) was the genesis. My experience with PnP convinced me that skill development and placement can be done on commercial basis to provide scale in an unprecedented basis. The answer to the question “KITNA KAMAATE HO?” (“How much do you earn?”) is a deciding factor for one’s Social Status, job and even marriage. To help someone answer this question is the biggest motivation behind Bodhicrew. USF: How do you manage to protect the credibility of the company and uphold the welfare of the housemaids and their families in an industry like this? 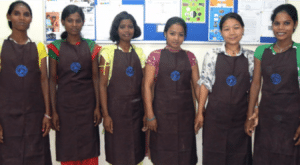 One interesting story, worth mentioning here is of Kusum(name changed) hailing from Bihar who contacted us expressing her interest to work as a domestic worker. Post her 15-day training; she was placed with a nuclear family in Delhi. 15 days later she contacted us wanting to go home. Imediately, her family was notified who suggested that she stay back in Delhi with her maternal aunt and that they would send her brother to bring her back home. In two weeks after all formalities were completed the girls parents contacted us saying that they were unable to trace the girl. It took our team only one week to recover this girl, who had been forcibly placed by her aunt for a Sum of Rs 30,000 to work as a Domestic Worker. Today, this girl lives happily with her family. This incident spread a really good message among the families of that area. This is only one of many, which helped Bodhicrew in winning the confidence of the families. USF: Who is your typical customer and what are some things that you’ve learned about them? Bodhicrew provides a space for both the job seeker(workers in the unorganized/informal sector) and the employer to shake hands and hence both are our customers. Workers in the informal sector are plagued with low economic status, irregular work, limited bargaining power and limited access to institutional credit, training and job related information. They experience stagnate level of income while struggling with rising cost of living. Improving their standards of living is ultimately linked to finding better jobs that in turn is linked to better access to job information. USF: How big is the market for your business and how do you get this service to your target market? Our market is the unorganized employable workforce ranging from 300 million to 360 million. India’s employment exchangesare far from perfect and it cost the government Rs.228,381 for a single placement. Employers across the informal sector either rely on placement agencies or advertisements, which are expensive and not always credible. We aim to close this gap with Bodhijobs.com, a consolidated database of employable job seekers. USF: How has the investment from USF helped the company? When you are working on a disruptive idea, color of money you bring into the venture matters a lot. Generally, disruptive ideas take longer than usual to get established and start generating good returns. The best fit here is patient capital and USF’s investment strategy really justifies that. We utilized the money in setting up sourcing base in West Bengal and placement Base in New Delhi. Today, bodhijobs.com is a culmination of our last one years work. 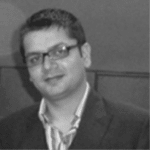 Vivek Kumar Kaushik started his career as a socioeconomic consultant in 2003. Since then he has undertaken and managed projects for UNITUS Inc., SBI, Planet Finance etc.In 2008, he founded ‘EDWELL’ a nonprofit organization that promotes quality education and health among the underprivileged children of India. Vivek is the co-founder of Bodhicrew Services Pvt. Ltd.